Miu Miu is a fashion label that you may not have heard of yet. You will, however, certainly be familiar with the label behind it: Prada. This traditional Italian company, which has been adorning the fashion world since 1913, primarily with luxurious leather goods, also has other licensed products in its repertoire. 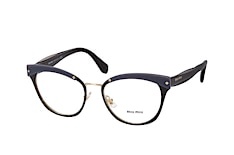 These include shoes, perfumes - and high-quality glasses. 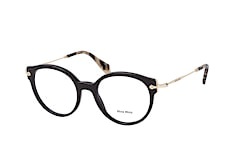 The production under this umbrella company is divided into the "classic" label Prada and Miu Miu, the latter a fashion range designed to appeal to a younger audience. 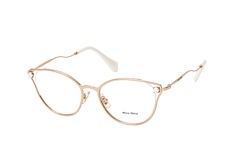 This is also the case for glasses from Miu Miu. The name Miu Miu could easily be mistaken to be an Asian label. This would definitely be a wrong thought: it is rather the nickname of Miuccia (actually: Maria Bianchi) Prada, the company founder, Mario Prada's granddaughter. She is co-owner of the company and leads the creative processes. 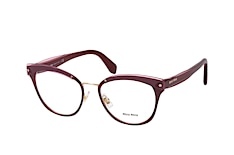 The Miu Miu range of women's glasses was created in 1993 and is characterised by a modern, stylish design. 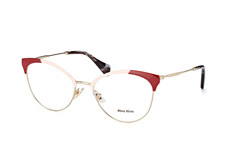 Miu Miu is intended to appeal to young women and at the same time cover a somewhat cheaper price segment: designer goods for a younger clientele with an affinity to the parent brand. 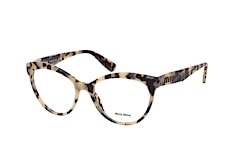 Stylistically, Miu Miu focuses more on an unconventional but high-quality look rather than on explicit luxury. The colour composition focuses on earth tones and natural shades. 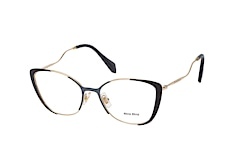 Simple, yet sophisticated Miu Miu glasses frames have a touch of retro style. 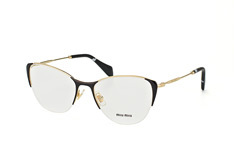 Prada and Miu Miu have had glasses and sunglasses as fashion accessories in their portfolio since 2000. 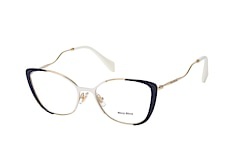 Miu Miu eyewear combines individuality and attention to detail and provides its wearers with an unconventional look. 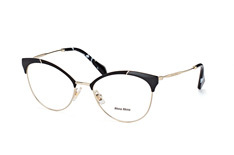 A particular speciality are the small individual touches: subtly attached sparkling stones or asymmetrically cut temples add a touch of style to the Miu Miu glasses frames. In addition, there are small interruptions in the frame shape and a large colour palette with subdued and trendy colours as well as original colour gradients and styles. 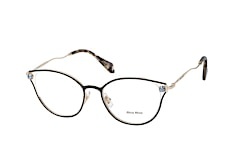 The attractive cat eye or butterfly shapes are the predominant eyewear designs. 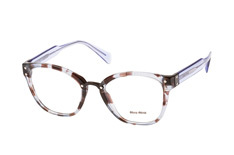 The Miu Miu glasses frames are produced mainly from acetate, in the finest Italian quality. 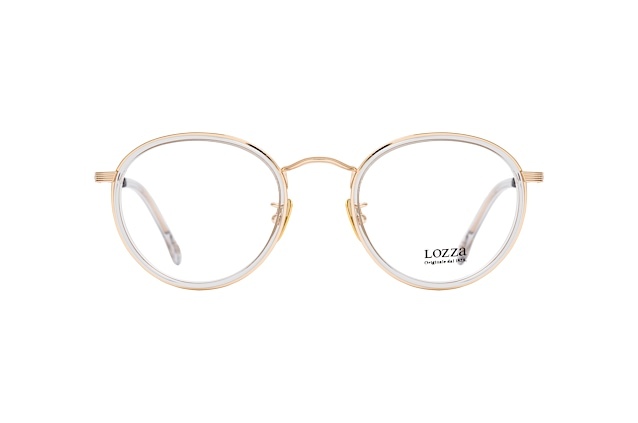 The glasses are manufactured as licensed products by Luxottica, the leading Italian eyewear manufacturer based in Milan. 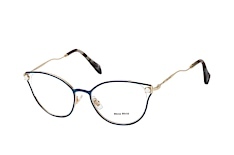 Luxottica combines modern materials, technical design and innovative functionality. The interplay of impulses from fashion and jewellery creates an important source of inspiration. Materials from aviation research are made use of - the glasses are light, impact-resistant and robust. 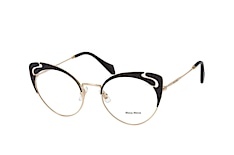 Luxottica was the first company to use graphene as a material in eyewear production and is known for its sophisticated methods of combining metal and rubber components. Virtually: upload a photo or webcam image of yourself to the online "fitting". 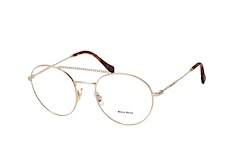 Then simply choose the glasses you want to wear. Looking good? Then proceed to checkout. Free home trial: you may also choose to test the glasses at home in front of a mirror. On request we will send you up to four frames by post. 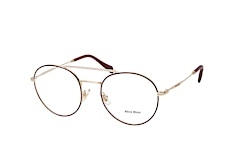 You have ten days time to try on the glasses in peace and show them to your friends. Once you have made your decision, return the glasses - free of charge of course - together with the order form and your dioptre values. 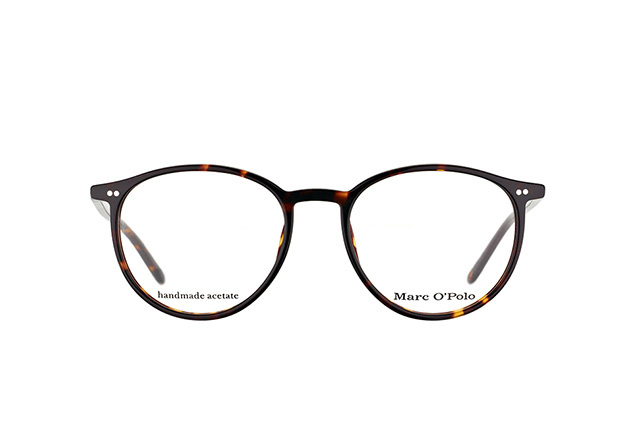 Prescription lenses are already included in our prices; varifocal lenses are available at an extra charge. The lenses are cut in our master workshop - within a few days the glasses will be sent to you by post. 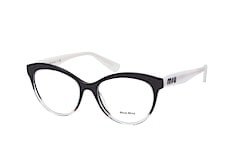 You want to find out more about glasses from Miu Miu, Mister Spex and our ordering methods? Ask our customer service department: we are at your disposal for any request you may have. Visit the Mister Spex online shop and find the most beautiful frames from Miu Miu!